Browse our library of useful resources below, from e-books to webinars. CatalystOne Solutions is a rapidly growing SaaS company, that produces one of the most popular HR-systems for small and medium sized organisations. We are over 200 passionate employees that all work towards a common goal: Enabling organisations to build a thriving workplace. We do not consider ourself simply as a software supplier, but rather as a partner that works closely together with our customers to ensure they gain the maximum value of our HR-system. This is why we constantly provide support and deliver results beyond expectations. If you have any questions or comments, then do not hesitate to contact us. We are here to help! 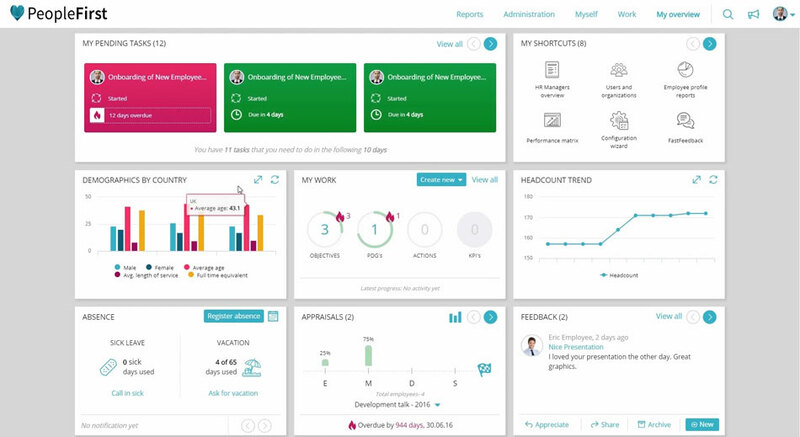 This video provides a general overview of how the CatalystOne HR software solution looks and feels. Book a demo by clicking the button below, and we will arrange a customized demo to fit your specific needs.